James Woods took to Twitter on Friday and took what looked like a clear shot at Florida Congresswoman Frederica Wilson. 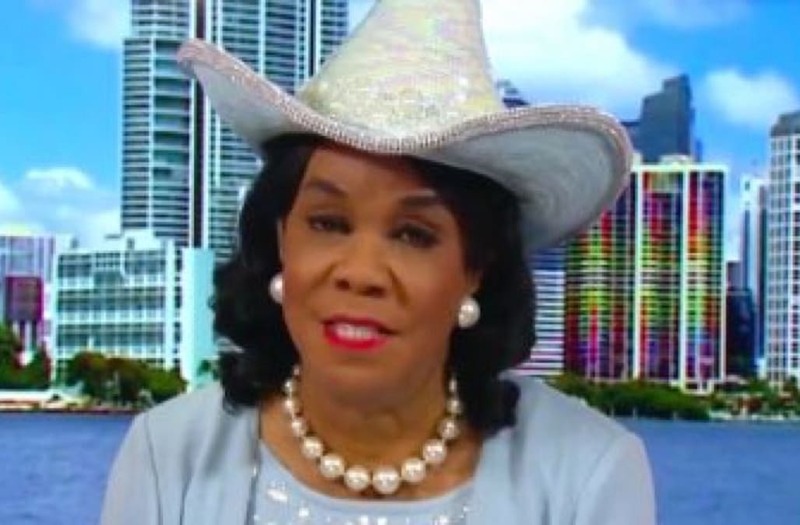 "When #Democrats start wheeling out clowns dressed as saloon hookers, they are trying desperately to swerve away from the news. #UraniumOne," he Tweeted Friday morning. While, Woods didn't mention Wilson by name, the comments from his fans, leave little doubt about his target. Woods has been raging in recent days over Wilson telling media organizations that Donald Trump was disrespectful in his condolence call to the wife of a U.S. soldier killed during an ISIS raid in Niger. The story — now in its third day — has metastasized into a full blown scandal leading to an official denial from Trump and a stern lecture to the media from Chief of Staff — and gold star father — Gen. John Kelly. TheWrap reached out to Woods on Twitter for a clarification of his remarks.